FlowTecs is a Hip Hop artist with a distinctive voice that’s sets him aside from the masses. With reality filled lyrics and affiliations with the likes of Triple Darkness he is slowly cementing his place in the scene. ‘Verse murder’ is a promotional project released by Boom Bap Professionals building up to FlowTecs’ upcoming LP “The Concrete Doctrine” which is on its way early 2016. In this project FlowTecs puts himself against one of the most renowned producers – DJ Premier, following on from Triple Darkness member Ray Vendetta’s ‘Verse Murder’ tape which was filled entirely with beats from Alchemist. 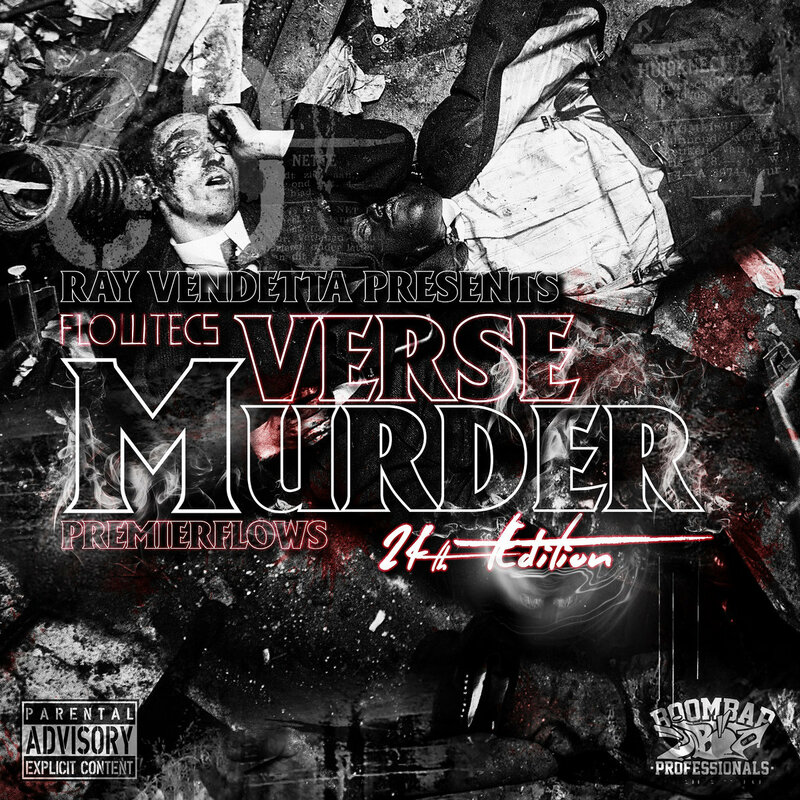 After having various conversations with Ray, FlowTecs decided to carry on the ‘Verse Murder’ series but chose Premo as his producer. This is sub-labelled as the ’24th edition’ as each track contains 24 bars including an insane posse cut featuring 24 MCs! Look out for future ‘Verse Murder’ releases and stay posted for ‘The Concrete Doctrine’ LP!